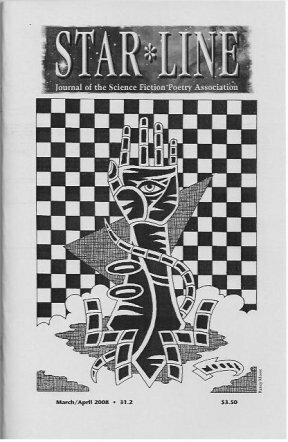 My poem “Outward Bound” appears in the March/April 2008 issue of Star*Line, the poetry journal published by the Science Fiction Poetry Association. You like SF poetry. You like it. You do.